To pray is to take notice of the wonder, to regain a sense of the mystery that animates all beings, the divine margin in all attainments. Prayer is our humble answer to the inconceivable surprise of living. It is all we can offer in return for the mystery by which we live. 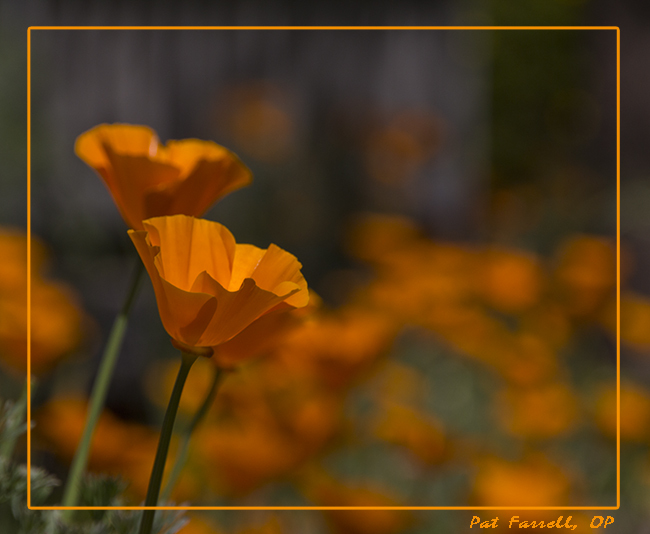 Thank you, Rexlin, the golden California Poppies are one of my favorites! wow – this photo reminds me of reflecting buttercups off of our chins as children the whole photo is bathed in that goiold of the poppy!! Really excellent photo and likewise the frame etc. Really nice quote – love the lasst sentence – “It is all we can offer in return for the mystery by which we live” Great post!! Thank you, Keith. I have a great love for poppies. When the season arrives and they start to bloom, I can’t help but smile when I see them. They are such happy flowers. The beauty of life and our participation in it is such mystery. I’m glad you enjoyed the photo and the quote!